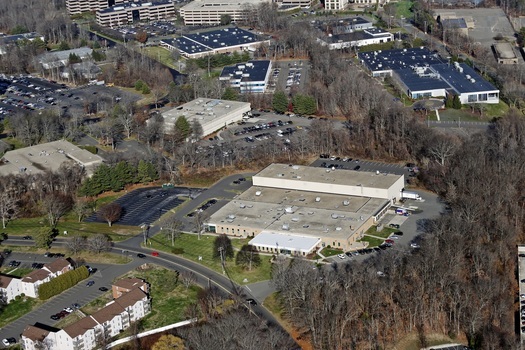 Shelton, CT - Avison Young, the world’s fastest-growing commercial real estate services firm, today announced that its Fairfield/Westchester office has arranged the sale of 100 Trap Falls Extension, an 82,000-square-foot flex/industrial building in Shelton, CT for $9.2 million. Avison Young represented Cambridge Hanover, the seller of 100 Trap Falls Extension, in this record breaking transaction. The team included representatives from the Fairfield/Westchester and New York City offices, including Principal and Managing Director, Sean Cahill, Principal, Jon Epstein, Alison Luisi, an Associate in the Capital Markets group and Erik Edeen, a Financial Analyst. The building, which was 94 percent leased at the time of the sale, closed at record price on the back of strong cash flow with increased annual income and credit-worthy tenants, including Red Bull, Microphase, Comet North America and Option Care. The Avison Young team was also able to guide the seller through the multiple procedures, rules and regulations established by the IRS to encourage property owners to reinvest in the local real estate market. The property at 100 Trap Falls was acquired with 1031 funds by a family office that invests primarily in properties within the five boroughs and wanted to diversify their portfolio into Connecticut. A 1031 Exchange, also known as a tax-deferred exchange, affords significant tax advantages to commercial property owners. Through a 1031 exchange, real estate investors may sell or relinquish certain qualified property, reinvest proceeds from that property and acquire a replacement property, pursuant to certain time limitations and other regulations. In addition to deferral of taxes, the 1031 investment allows for other advantages for buyers and sellers of commercial property, including increased leverage and cash flow for reinvestments. The Avison Young team has arranged several other sales in the wider market for this type of asset class during the first half of 2016, including 100 Business Park Drive in Armonk, NY for $9 million; 110 Viaduct Road in Stamford, CT for $4.5 million; 4 Testa Place in South Norwalk, CT for $2.45 million; 23 Vitti Street New Canaan, CT for $1.52 million and 326 Main Avenue Norwalk, CT for $1.4 million.